Traditional favourites, sometimes with a twist. Family friendly, tasty, informal fare and ambience . 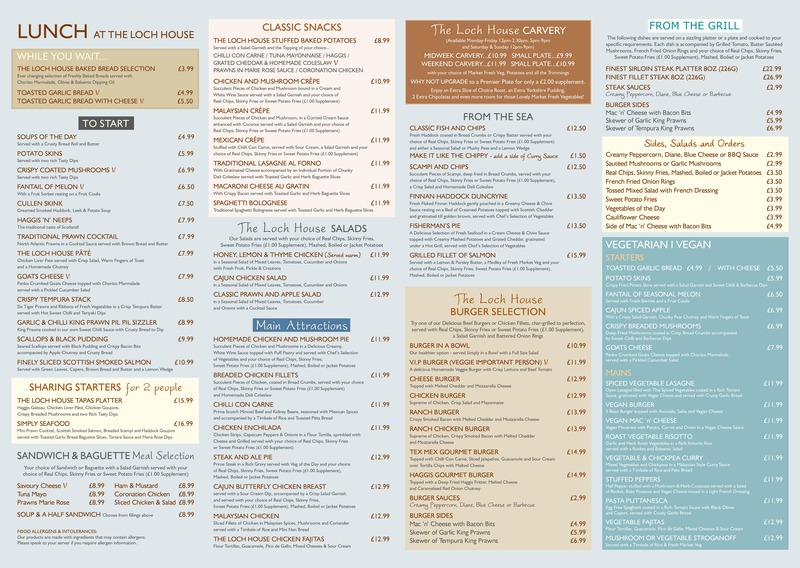 The Loch House is a warm and welcoming restaurant with a relaxed, comfortable atmosphere and panoramic views across the beautiful local countryside. Our bar is open daily from 10am serving a selection of beverages including everything from freshly ground coffees and speciality teas to an entire range of wines, spirits, malt whiskies and fabulous cocktails. Our family style grill menu offers both family favourites and global cuisine – ensuring there’s a dish to delight every palette. Break-the-fast at The Loch House with a generously filled morning roll and a cuppa – what better way to start the day?! ​Carefully prepared and presented dishes ranging from classics, to crepes and curries. Light or indulgent affair – don’t worry our waiting staff will give you all the time you need to choose! The most anticipated meal of the day doesn’t disappoint at The Loch House. As evening falls our busy restaurant transforms into a relaxed and intimate space to enjoy Scottish dining at its finest. Join us from 5pm – 10pm. We like to offer our younger visitors variety, just as our bigger customers enjoy! 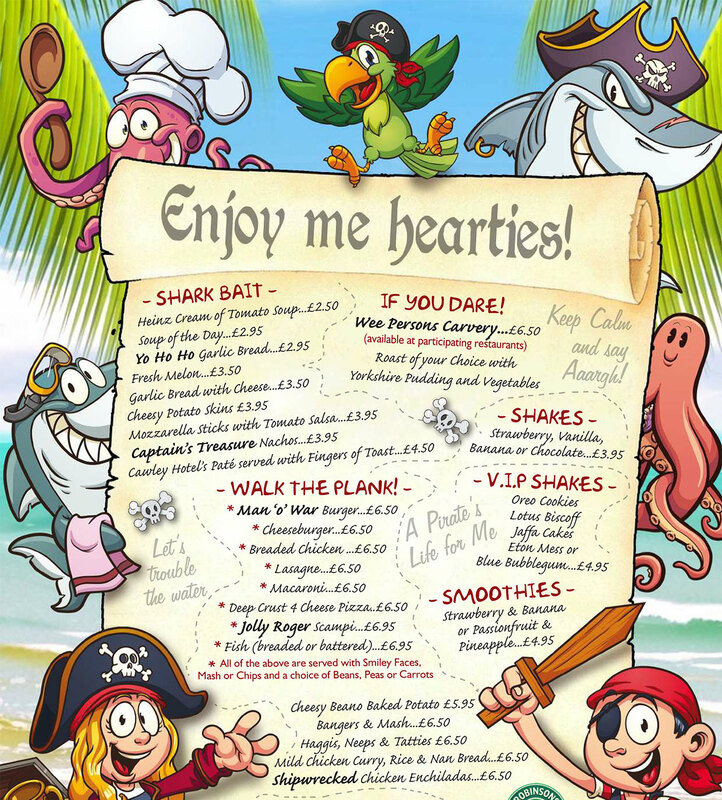 We’re certain our children’s menu has something to delight your little one – however adventurous! The traditional taste of Scotland! The Following dishes are served on a sizzling platter or a plate and cooked to your specific requirements. Topped with Melted Cheddar and Mozzarella Cheese. Supreme of Chicken, Crisp Salad and Mayonnaise. Crispy Smoked Bacon with Melted Cheddar and Mozzarella Cheese. Fresh Haddock coated in Bread Crumbs or Crispy Batter served with your choice of Real Chips, Skinny Fries or Sweet Potato Fries (£1.00 Supplement) and either a Seasonal Salad or Mushy Peas and a Lemon Wedge. Try one of our Delicious Beef Burgers or Chicken Fillets, char-grilled to perfection. A Succulent Supreme of Chicken Mexican Style in a Spicy lightly Peppered Sauce Served with French Fried Onion Rings. Grilled Tomato and a Timbale Rice. Made to a Traditional Recipe served with a Timbale of Rice and Fresh Market Veg. Fresh Haddock coated in Bread Crumbs or Crispy Batter served with your choice of Real Chips, Skinny Fries, Sweet Potato Fries (£1.00 Supplement) and either a Seasonal Salad or Mushy Peas and a Lemon Wedge. Midweek Carvery. Available Monday-Friday 12pm-2.30pm & 5pm-9pm. Smaller plate for smaller appetites. Served with your choice of Market Fresh Veg, Potatoes and all the Trimmings. Larger plate for larger appetites. Enjoy an extra slice of Choice Roast, an Extra Yorkshire Pudding, 2 Extra Chipolatas and even more room for those Lovely Market Fresh Veg! Weekend Carvery. Available All-day - Saturday & Sunday 12pm-9pm. A cup of your favourite brew to end your meal! Calypso, Russian, Caribbean, Baileys Irish .